A domain name is the key to building your website and doing business on a global scale. However without a memorable domain name (otherwise known as a web address), then customers could struggle to find you or remember how to get back to your website. Get a free domain name with a .co.uk or .uk domain name extension when your register your domain with Names.co.uk. Finding a domain name for your small business is easy! Just run a domain name check or domain name search by entering your preferred name into the search box on any domain name registration website and see if it’s available to be registered. Best domain name registration company? There are hundreds of domain name registration companies to choose from and all offer a variety of services such as domain name registration, website hosting, website design, virtual private servers hosting (VPS), cloud storage and email services. Your level of experience – If you’re buying a domain name and setting up a website for the first time then you’re probably going to need some help. Whilst some domain registrars offer very competitive pricing it can be worth paying a little bit extra to ensure you get technical support when you need it. Domain name registrars GoDaddy, 123-Reg and 1and1 offer 24/7 technical support and a live chat facility so you can ask for help and get your website up and running as quickly as possible. The domain registrars reputation and reliability – The reputation and reliability of the domain name registrar go hand in hand. The best domain name registration companies are reliable and therefore have a good reputation. Alternatively, if the domain registrar has a poor reputation, as a general rule, they won’t be reliable. We suggest you do some research about your chosen domain registrar, read reviews, check company accounts to see how long the business has been running and try to contact them to get a true reflection of the customer service. If the reviews are bad and they‘re a relatively new business then we’d suggest you tread very carefully. Additionally, be aware some domain registration companies will offer loss leading pricing, yes the price does sound good however you could be opening yourself up to a host of issues. Difficulty managing the domain name, difficulty canceling your domain, overdue invoices from the domain’s registry office, domain transfer fees. It’s just not worth the hassle! The domain registrars security – If you’re planning on setting up an online shop whereby you’ll be accepting payments from customers online then you will need to select a domain registrar that can provide an SSL certificate and also has an excellent security rating. Immagine if a customer were to access your site, make a purchase and have their card details stolen. What would be the knock on effect and potential damage to the reputation of your small business? Even with the best security measures, a breach can still happen, but you’ll sleep much better knowing you’ve taken every precaution to ensure everything is as secure as possible. Hackers will also attempt to hijack your domain name. This is where they change the registration of a domain name without the permission of its original registrant. They will then either keep your domain name for their own purposes, posting anything they want to the domain or demand a ransom to release the domain back to you. If you make the smart choice buy from a domain name company with an excellent security rating then you should be able to avoid either of these scenarios. Your budget – As a small business you probably won’t have a exorbitant marketing budget and naturally, you’ll want to get the most for your money. Therefore the domain registrars pricing and renewal rates are really important to consider prior to buying a domain name. Domain registration companies such as One.com offer a free domain name when you buy website hosting or a free domain name for the first year. This is a brilliant way to get your website up and running at very little cost, however you should always calculate the ongoing running costs of your website. The last thing you need is an unexpected cost when your domain name comes up for renewal. The cost of your domain name will depend on the domain registrar, the domain name extension you choose and how long you want to register the domain name for. Typically, it’s more cost effective to register a domain name for several years than renewing a domain name on a yearly basis. Some domain registrars will allow you to spread the cost of your domain name, website hosting and website design over several months, usually via a monthly direct debit payment. Leasing a domain name is another way to spread the cost of your domain name. Domain name leasing is similar to a car lease and gives a buyer (lessee) the right to temporarily use a domain name over a specified period of time. When you lease a domain name you will make periodic lease payments to the seller (lessor) typically on a quarterly or monthly basis. Most domain lease agreements have an option for the lessee to buy the domain name outright, either within the lease period or at the end of the lease term. People usually lease domain names to get access to premium (high value) names without the high upfront costs. Domain names with 123-Reg – Register your domain from only £3.49 with 123-Reg the UK’s largest domain registrar. 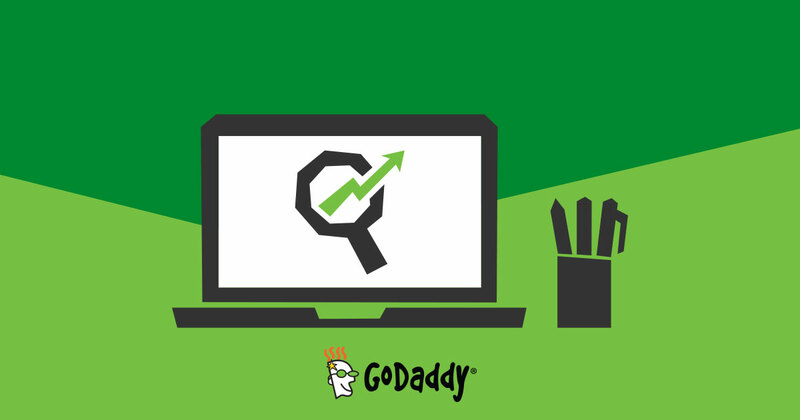 Domain names with GoDaddy – Register with GoDaddy and get your .COM or .CO.UK domain for just 0.99*! Domain names with Names.co.uk – Get a free .co.uk and .uk domains when you register with Names.co.uk. Domain names with Heart Internet – Save 15% off .UK domain names at Heart Internet. Domain names with Easyspace – Up to 50% off .me domains with Easyspace. Domain names with One.com – Domain and web space when you order with One.com. Domain names with 1&1 – Register domains with 1and1 Internet. Domain names with HostGator – Register domains with HostGator. A backorder domain name is where you pay a domain registrar to monitor your chosen domain name. When the registration of the domain name expires, the domain registrar will then purchase the domain name on your behalf. An expired domain name is where a domain owner has not paid the renewal fee and the registration has expired. This could be because the domain has been forgotten or because the domain name isn’t required anymore. A bulk domain registration is where you register multiple domain names with one domain registrar. A domain name transfer is where you move your domain name from one domain registrar to another. For example if you originally registered a domain name with Godaddy and you now want to register the domain name with 123-Reg. To do this you should get in touch with your original domain registrar. Some domain registrars can complete the domain name transfer for you, however you should be aware they may charge for this service. A bulk domain transfer is where you transfer multiple domain names to a new domain registrar. A domain name extension is the ending of a domain name. Domain name extensions are commonly referred to as a top-level domain (TLD), suffix, or domain root. There are several types of top level domain names. Examples of country specific domain names would be .uk for the United Kingdom or .ie for Ireland. Examples of generic domain names would be .business or .website. Some of the most popular top level domain name extensions tend to be .com, .org, and .net. To prevent others from using similar domain names and to protect a brand’s identity, many businesses will register their name with multiple domain name extensions. This can also increase online visibility and attract more visitors to their website. It can be tricky for any small business to decide which domain name extension to use. We’ve compiled a list of domain name extensions below for small businesses in the UK to consider before buying your business domain name. Is the domain name easy to type? What country(s) are my customers searching from? Are all my customers based in the UK? Are the other domain name extensions already in use? What keywords are my customers likely to search for and are they in the domain name? Has the domain name been used for another purpose prior to me purchasing it? Should I use a domain broker? If the domain name you want is already registered by someone else, you can use a domain broker to attempt to acquire it for you. Domain brokers make every reasonable attempt to contact the current domain name registrant and try to negotiate its purchase. Typically, there is a minimum fee and commission charge if the domain broker is successful. If you purchase your domain name using a domain broker then your purchase is usually non-refundable and non-transferable. DNS stands for domain name system. The job of the domain name system (DNS) is to convert text based domain names such as “www.smallbusinessesresources.com” into an internet protocol addresses or IP addresses such as 46.30.213.119 so computers can identify each other on the network.